Recognized in the industry for his solution-oriented thinking and energetic leadership quality, Nikhil Bansal has created a dynamic career as a technologist, entrepreneur and product leader. With a career spanning of over 10 years in the business, app development and product leadership roles, he has delivered top-class digital solutions to companies focused in areas such as retail, e-commerce, sports, education, and healthcare. In his current role as the CEO and founder of Apptunix, he has helped many startups and established businesses worldwide in planning their roadmap to mobility and is eager to help many others. 1. Tell us about your company in brief. 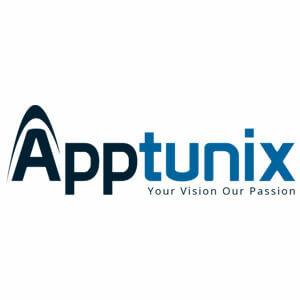 Apptunix was founded in 2013 with an aim to passionately mine the technology field and dive deeper into the processes of making businesses successful with the help of digital solutions. And Since our inception, we are striving hard to deliver custom technology solutions to our clients worldwide. We use advanced design principles with emerging technologies in mobile, desktop and cloud to develop effective solutions. As a web and mobile app development company, our major focus is on building tech solutions that help businesses streamline their existing processes, prepare for future trends, lower expenses, and decrease operational overheads and help organizations connect better. 2. How do you describe your mobile app development team in terms of experience and expertise? We have 5+ years of experience in Mobile App Development field and our team has many developers who have made their hands dirty and feet wet with everything that comes under app development. We are proficient in iOS and Android app development and create effective solutions for the various industries like Retail, Real Estate, Utility app solutions, Food and Restaurant, Travel app like Uber etc. We follow Agile Methodologies while development which leads our team to achieve high performing apps, client satisfaction, and on time delivery. We change real-life ideas into solutions and are capable of embracing changes that keep on coming in our industry. 3. How would you drive your team to meet technology demands of 2018 – 2019? To stay updated on what is coming in the industry, we organize in-house seminars and meetings on monthly basis. I believe it provides a platform for our tech enthusiast to stay updated with the help of each other. In our seminars, along with discussing what’s new, we also evaluate new and emerging technologies before considering them for use on client ventures. Other than that, I keep on encouraging my team to read the latest tech blogs, magazines and join webinars to sound technically knowledgeable. 4. How do you help your clients in choosing the right yet profitable platform for app development?  Well, every application focuses on a specific set of users, which characterizes its user base. That set chooses which platform the business needs to target. In other words, the type of business and its target audience are two important factors that determine which will be the profitable platform for that particular client. We suggest platform to clients by analyzing both of them. Generally, when the target audience consists of people in the high-income group, we prefer going with iOS. For everything else, because of its large user base, Android is our go-to-platform when we need to focus on the mass market. 5. What all services do you think you would add to your offerings in 2018 – 2019? In coming years, our main focus is to provide solutions to businesses that help them in reducing the time they take while doing manual tasks with the help of technology. To accomplish this objective, as of now we are working on Chatbots, AI, Augmented Reality, Big data, IOT solutions and Machine Learning and in the coming years, we are planning to work on Cloud integration, Micro Web Services and Smartwatch integration etc. Right now, we are also doing projects on React Native and Flutter Platform to build high performing apps in shorter development time. 6. How are you going to differ in processing solutions and applying methods in the coming future? When it comes to “what makes us different” we always rely on our expertise and production processes we follow while doing any project. We follow distinct procedures for every venture while keeping a holistic view of the projects and ensure transparency in our work. We follow the Agile methodology that gives us transparency between all phases and teams in every process of Development. In Apptunix, Agile is applied from the start with client meetings until we are done with the final product and still continue managing things in the maintenance of the app as well. 7. How do you scheme your pricing model? How do you fix your budget? With regards to our pricing model, we are flexible with it. We accept all 3 basic pricing models; Fixed cost (Pay per milestone or feature), Monthly (Fixed Payment on a monthly basis for each developer hired) & Time and Material (Payment as per time-taken and milestone). Our pricing model to a great extent relies upon the project requirements and complexity. But mostly we prefer to follow the Time and Material pricing model in which our clients are charged per hour for the time spent by our developer working on a set of tasks. However, for small projects with clear specifications, requirements and defined timelines, we use Fixed Budget Pricing Model. Generally, this model is appropriate for startups with a constrained budget willing to test their idea with an MVP. 8. Define your future prospective and vision regarding new technologies like Artificial Intelligence, Chatbots, IoT apps, Augmented Reality apps and Virtual Reality apps? We have already delivered solutions using some of these emerging technologies and are also excited to work on every one of them in the coming future. We have recently developed an augmented reality app and are looking for more projects in the same domain as we have an expert team ready to build some amazing augmented reality experiences. We are also looking forward to developing enterprise applications of wearable technology, particularly in Augmented Reality. Difficulties around Security, Data mining/analysis and Interoperability may come but they have to be resolved for IoT and Wearables to deliver tangible advantages at low risk. 9. What are your favorite industry verticals for 2018 – 2019 and why? Each vertical has its own challenges and demands when it comes to mobile app development. I think there are a number of opportunities in healthcare and fitness industry as people are now becoming more and more health conscious day by day. However, we are not stuck with working for any specific industry but I believe healthcare and fitness industry is embracing technology in the best possible way. 10. What product/service and in which category you would like to build/offer to establish or redefine your authenticity and expertise in your operational domain? Presently, the modern era is demanding wearable technology and robotics, and we also have the required expertise in these classes. No doubt they come with many challenges like its purpose, platform compatibility, User Interface, and battery life etc. We are open to embrace new challenges that pay us for our efforts. So, we would like to build products around wearable technologies, AR and VR in the near future.